InterfereX have developed world-first technology to overcome bottlenecks in video content delivery, typically improving throughput and quality by 2x. The CLRifex product does this by delivering the content over parallel paths, the content is then stitched back together before the player. The product also overcomes buffering, and thus dramatically improves the user experience. Trials and deployments show consistent benefits for video streaming and Over-the-top video-on-demand applications. Video content delivery is essential for the modern defence force and warfighter. Poor delivery or low quality could be critical to video analysis work and also for situation awareness. InterfereX dramatically improves video content delivery and can utilise and improve the robustness of the unreliable multiple paths for delivery (i.e. satellite, wireless, cellular). 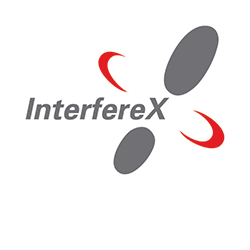 The company’s name encompasses the vision of the company: “InterfereX” is about crossing out (X) the interference in radio and wired networks. Only by minimizing the interference in the radio network can we maximize the customer experience. InterfereX achieves this by developing cutting-edge solutions to power the next generation of wireless and wireline networks and realize the 100 times increase per decade in data rates.